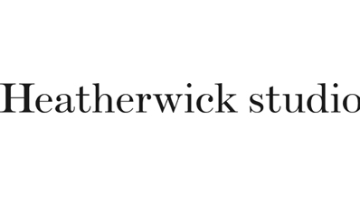 Heatherwick Studio is looking for a Professional Development Specialist. You will have an important role managing professional development and performance systems at Heatherwick Studio. We need a star who enjoys growing talent initiatives and can help us take our programme to the next level. You will provide coaching and guidance across the studio on development and career progression, managing and helping to build our systems. You will nurture relationships with high performance designers, architects, makers and other professionals, building an in-depth understanding of the individual’s professional aspirations, experience, strengths and development needs and how these can be best deployed across our talent pool. You’ll monitor and raise emerging people issues, helping to drive associated problem-solving and programme development as needed. You’ll also lead analysis and reporting of key professional development metrics for leadership. You will develop a healthy pipeline of talent, and grow the practices’ leadership capacity by guiding proper development and support for our next generation of leaders, supporting our development initiatives to ensure sufficient internal promotion. You will work closely with line managers, learning & resourcing specialists to ensure effective deployment, treatment, and development of our talent pools across the studio and ensuring a seamless flow of communication between teams. You will be part of the People Team and the role works across all of our Kings Cross studios. A curiosity about design will help immerse you into the studio. You will have a strong track record in delivering Professional Development, and can articulate your ideas of how to develop and support professional development needs. You will understand how to manage demands and priorities effectively in an exciting working environment. Annual promotions and review boards is an important part of this role and experience with annual promotions is highly desirable. Most importantly you enjoy having fun and work with teams that are very social. Please apply via the Apply tab with your CV and a cover letter to tell us why you are interested in joining us!